Bihar students once again grabbed media attention even as the 'Bihar Topper Scam' is still fresh in our memory. This time, a group of students vandalised a school in Nalanda, after their outdoor tour was cancelled. 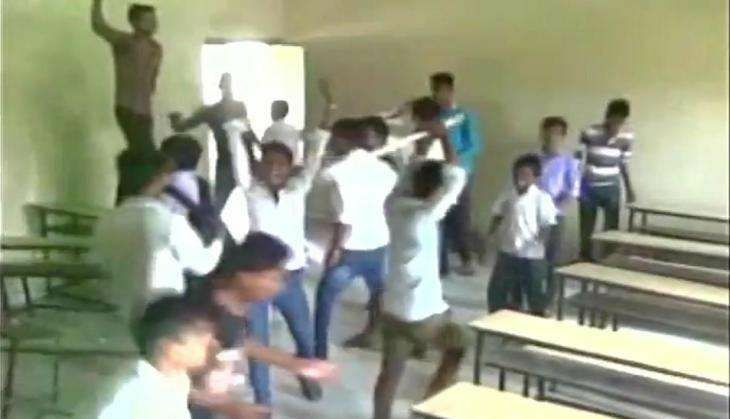 A video of students destroying the furniture in a classroom was shared by ANI. The video tweeted by ANI shows young boys vandalising the school property and breaking furniture. The recent months have not been in favour of the Bihar Education Ministry, raising questions and doubts on the functioning of school and colleges in the state. Earlier, a news channel had exposed a scam where students not only paid their way through examinations but also topped the exams. Last month, several school and college principals were arrested for allegedly accepting bribes for passing students in State Board and graduation examinations.